Golden quartzite is a rustic golden quartzite with huge variations. To add to its beauty are swirls in dark grey shades and streaks in sunset orange tones. Golden Quartzite Aggregate is a light yellow and gold color when dry‚ and more richly colored when wet. These are fireproof and non-slippery in nature. It is brittle in texture and highly durable. It is considered ideal for flooring, paving, and roofing. It can easily withstand every kind of climate whether it is freezing cold, scorching summer or heavy rain. These qualities make it inquiry to choice for exterior applications. Kushalbagh Marbles is the leading manufacturer, supplier, and exporter of Golden quartzite. We are exporting Golden quartzite to over 20 countries all over the world. We supply Slabs, Tiles and other cut sizes of Golden quartzite. 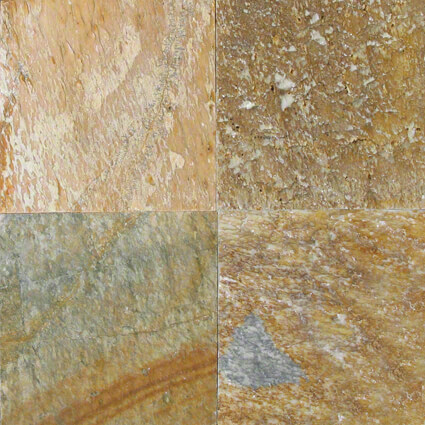 To fill out the enquiry form, please click here to get the best quotation for Golden Quartzite.